Fall is here! In just a few weeks, trees will be painted with color, apple and pumpkin fields will be filled with children and families and bulky sweaters will find their way back into our closets. 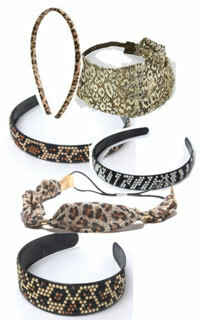 Leopard and snakeskin prints are everywhere this season, including headbands and scarves. Scarves can be worn to keep curls in place when you leave the house and when you’re off to work. 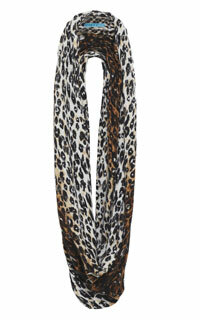 You can then wrap your scarf around your neck as an accessory once you’re in your office or even use it as a belt. 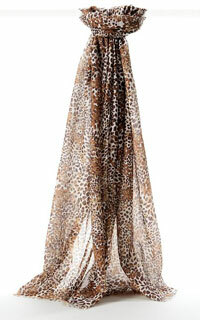 If you want to get creative scarves can be very versatile. You can visit just about any store and find a number of scarves in grey, brown, black, even red or pink, snakeskin and leopard prints — the faux kind, of course. These prints are also on clips of just about any size, which can highlight a new haircolor or style for the fall. 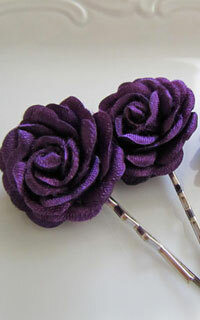 Flowers are still trending into the fall season, but in deeper shades of wine, chocolate and plum. Felt flowers are also popular for fall. 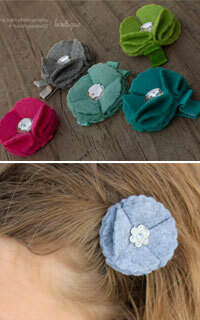 You can even make your own accessories by adding flowers to a headband, scarf, head wrap or clip with a hot glue gun. 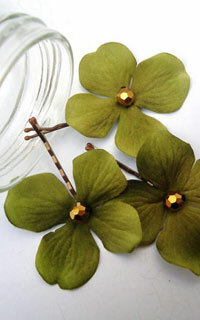 It’s easy to find flowers of just about every size and material in craft and dollar stores. Add a pin to the back of the flowers to make your accessory even more versatile so it can go from your hair to a blazer lapel, a bracelet or even a skirt! Feel like keeping it simple? Opt for bobby pins in bronze or copper metals or find one with a small stone or crocheted embellishment. 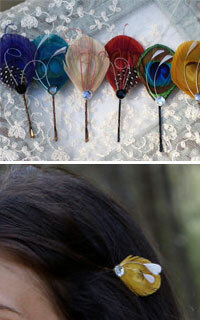 Take a look at the shops of Etsy for beautiful, handmade pins for your hair — there are LOTS! 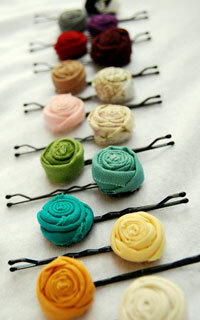 You can also, try Pinterest for new looks and concepts even those created with simple bobby pins and curls. But be forewarned, Pinterest can be addictive! Either way, you can enjoy using accessories of all kinds as you change up your look for fall! How do you use accessories to change up your look? What's your favorite curly hair accessory?